There are confirmed reports in a Google Maps Help thread that Google Maps KML support is not currently working. KML, or 'Keyhole Markup Language', is an XML grammar and file format for modeling and storing geographic features such as points, lines, images, polygons, and models for display in Google Earth, Google Maps and other applications. 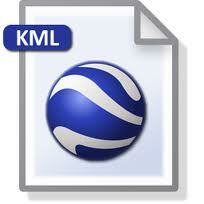 You can use KML to share places and information with other users of these applications. You can find example KML files on the KML Gallery and Google Earth Community site that describe interesting features and places. But as of a few days ago, they stopped working for users. German users report not being able to upload KML or GMX files to GoogleMaps / My Places anymore (not even for older KML files which have been uploaded earlier ) So I tried it with one of my KML files I have successfully imported 8/31/2011 using a KML file of my PC folders. Trying today to upload the same KML file fails! An update for you guys: We've identified the issue, and we've got a fix in the works. I don't have an exact timing for when the fix will be live, but expect it to be soon. I'll keep everyone posted once the fix is out. Thanks for bringing this to our attention, everyone! How soon it will be fixed, is currently not known.